Noted musician Bhupen Hazarika's son Tej has said his earlier statement on the Narendra Modi government announcing conferring Bharat Ratna on his father was misinterpreted, and that it would be an honour for him to receive the award on behalf of his father. Official sources said that Tej, who resides in the United States, in a statement to the government said, "It is unfortunate that (some) people would completely misinterpret my public statement dated February 11, 2019 regarding the Bharat Ratna itself by sadly misrepresenting my view of it." On February 11, Tej had criticised the Modi government's Citizenship Amendment Bill, and his statement was interpreted to mean that he would not accept the Bharat Ratna, India's highest civilian award, on his father's behalf. The Modi government did not push for the passage of the Bill in the Rajya Sabha, after it had been passed in the Lok Sabha, in the just concluded budget session of Parliament. There had been numerous protests across northeastern states against the bill. In his statement to the government, Tej said, "Although I have lived abroad most of my life abroad my Indian roots have been strong all along as not only was I born in India (so were my mother and my father and their parents), I have a family in India. 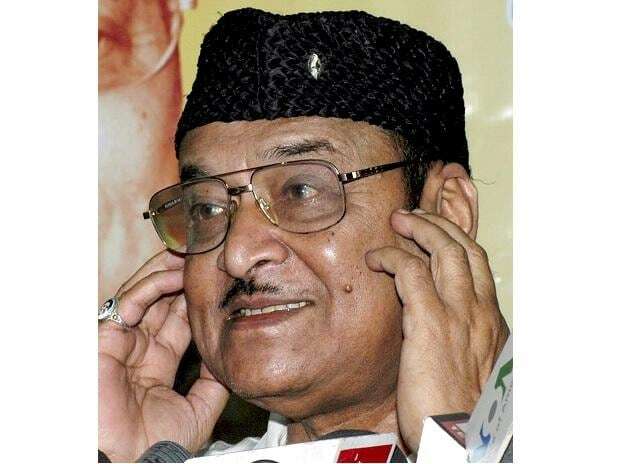 By upbringing, and through informed reflection I have always had the highest regard for the Indian Republic, its vast diversity and its noble institution of recognizing its exceptional individuals from all backgrounds with civilian awards—the highest of them being the Bharat Ratna, recently announced for my father, the late Dr Bhupen Hazarika." He added, "The Government of India has graciously extended me an invitation to accept the Bharat Ratna for my father. He sacrificed much and devoted selflessly to the cause of a united and progressive India and now he is being recognized for that with this well-deserved award." Tej said, "It is a tremendous honour, for me and my family to be invited by the GOI to accept the Bharat Ratna on behalf of my late father. It will be my dreamlike privilege to receive it for my father and his fans and followers everywhere. As always, I will strive to follow in my father's footsteps to work to bring light where there is darkness." The government had announced Bharat Ratna for Hazarika, social worker Nanaji Deshmukh and former president Pranab Mukherjee.